And the keyboards do have volume buttons. The Tarantula does. Argh their checkout process is bugging out for me, I'm trying to buy the Deathadder and even though it says the coupon is applied, it isn't taking the price for the pad off the order. 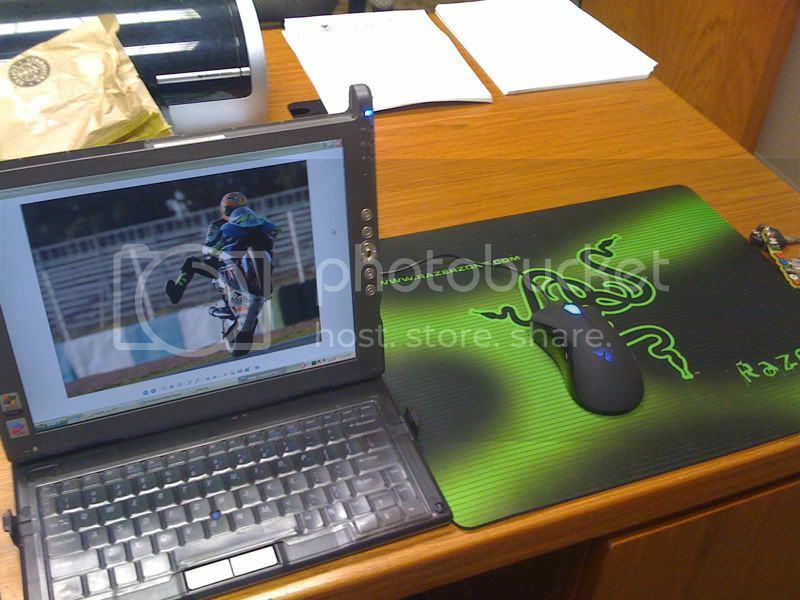 Yeah, the mouse I'm ordering (Deathadder) is $59.99, and the pad is definitely the Mantis Speed Edition. On the page where you enter the coupon, it shows the discount amount ($24.99) and proper total, but when you go to the checkout page (where you enter your CC# and address) and to the final confirmation page, the coupon is still seen as being applied but there is no discount shown or deducted from the total amount. Bump, I think this expires at the end of the month. This mouse pad is bigger than my computer! But I love my DeathAdder. A lot. Thank you TL.net. Your computer IS rather small but point taken. My mom plays WoW. Her microphone broke. I told her I'd give her my headset now if she let me get some razer stuff. she plays WoW?!?! lol! Do you guys raid together and stuff? That has the potential to be hilarious, haha. This offer expired at the end of last month.